This is an herbaceous, perennial plant, having an oblong tuberous root, from which arises a slender stem from ten to fifteen inches high. The leaves are three in number, acuminate, from three to five inches in diameter, with a very short petiole. The flowers are white, sepals green, petals ovate and acute, styles erect, and stigmas recurved. 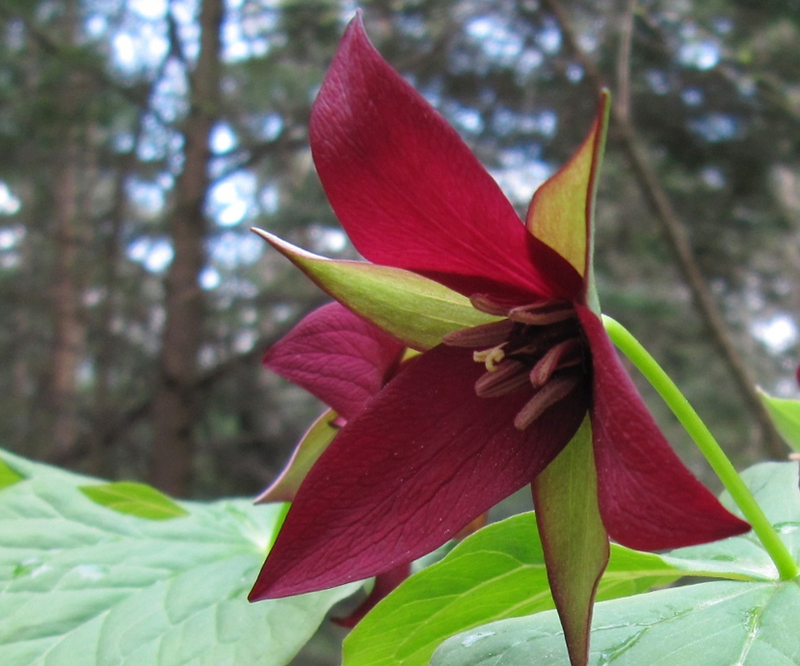 Trillium erectum var. cahnae Farw. Trillium erectum var. flavum Torr. Trillium erectum f. polymerum Vict. Trillium erectum var. sulcatum Barksd. Trillium rhomboideum var. atropurpureum Michx.